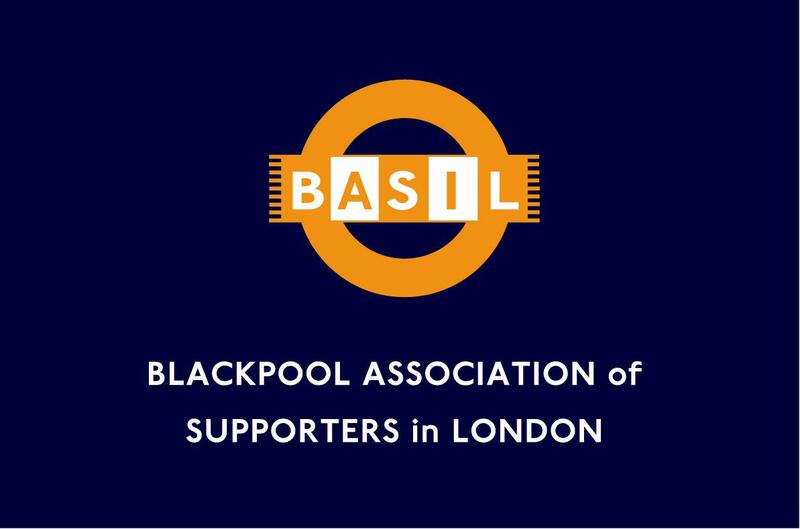 BASIL - Blackpool Association of Supporters In London. The Blackpool Association of Supporters In London (BASIL) was formed in 1978, there having been a southern Supporters' Club as early as 1965. Over the years, membership has fluctuated considerably, ranging from 30 to 200! The fate of the football club has tended to mirror the plight of the London Supporters - it has, generally, not been a good 30 years!! Despite the team's fall from grace in 1978, BASIL have survived, continuing to support the club as best they can. This involves organising as much cheap travel to games as possible and also supporting the club in their many ventures i.e. Meet the Manager/Fans forum events, sponsoring players' kit, etc. On the social side, the quiz team has been National Federation champions six times and the pool, darts and football teams have all had their moments. Since Promotion to the Championship in 2007, BASIL has seen a resurgence in interest with membership currently around 130. The Darts team continues to participate & the recently reformed Football team won Promotion & The Cup in their first season. BASIL Polo shirts badges & car stickers available to purchase. Along with regular e-mail updates regarding travel, tickets, events & meetings along with the designated PoC (Pub of Choice) for each match. With the appointment of Ian Holloway as manager & the new vibrant brand of football this has bought. THE FUTURE IS BRIGHT, THE FUTURE IS TANGERINE !! For further information please contact Blackpool Association of Supporters in London.